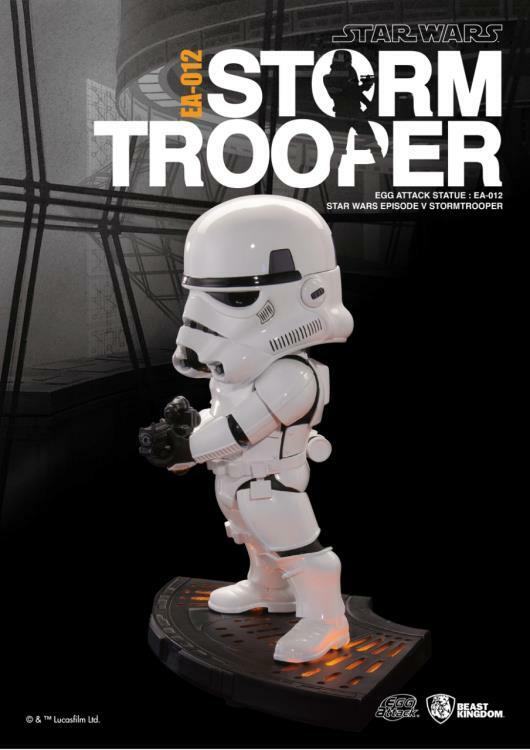 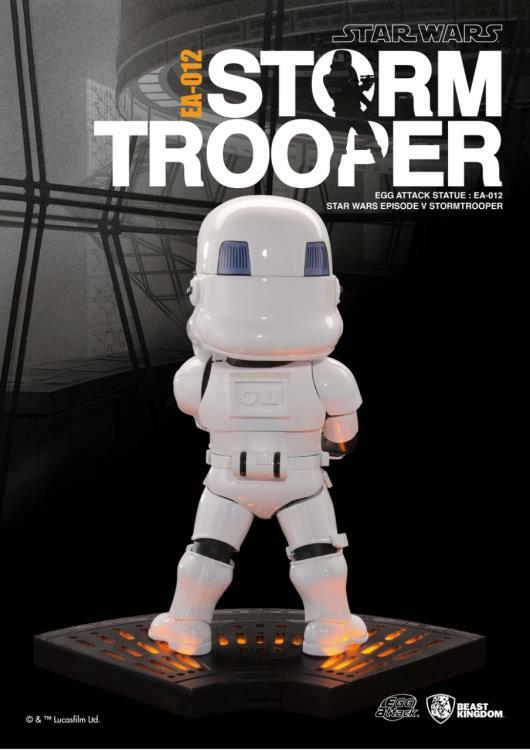 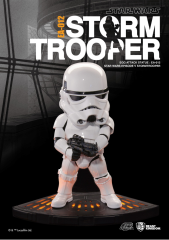 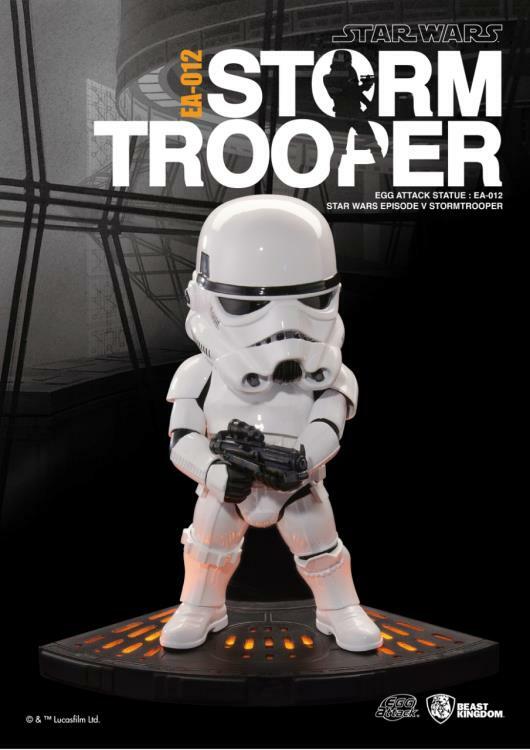 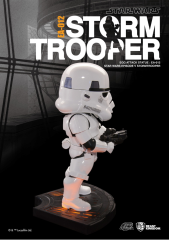 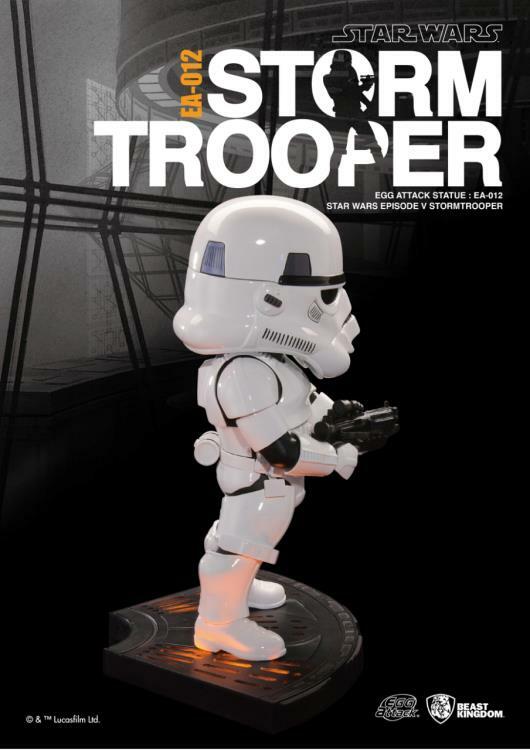 Beast Kingdom is proud to present our 8-inch Egg Attack - EA-012 Star Wars Episode V - Stormtrooper Statue, one of the most classic characters in the Star Wars franchise. 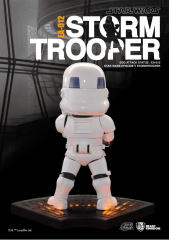 This collectible statue is constructed with compound material and painted with expert technique, perfectly representing the texture of Stormtrooper's white armor. 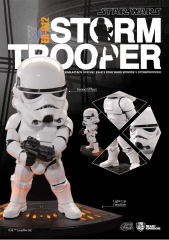 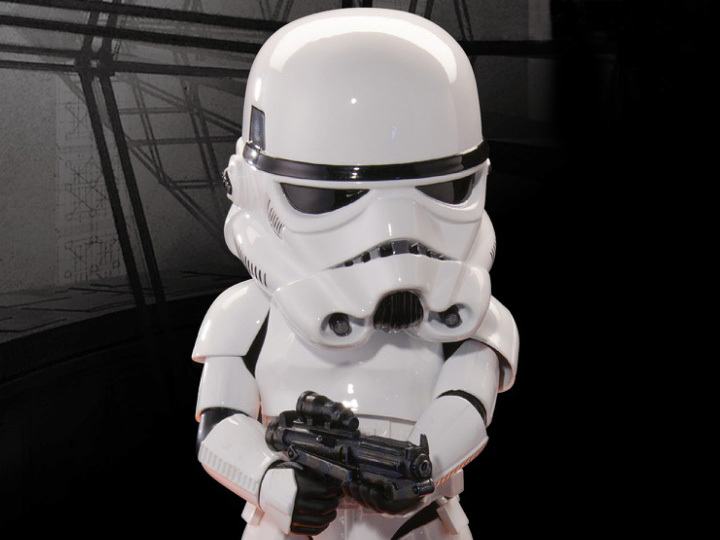 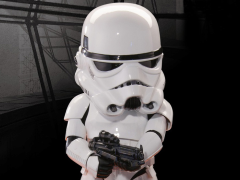 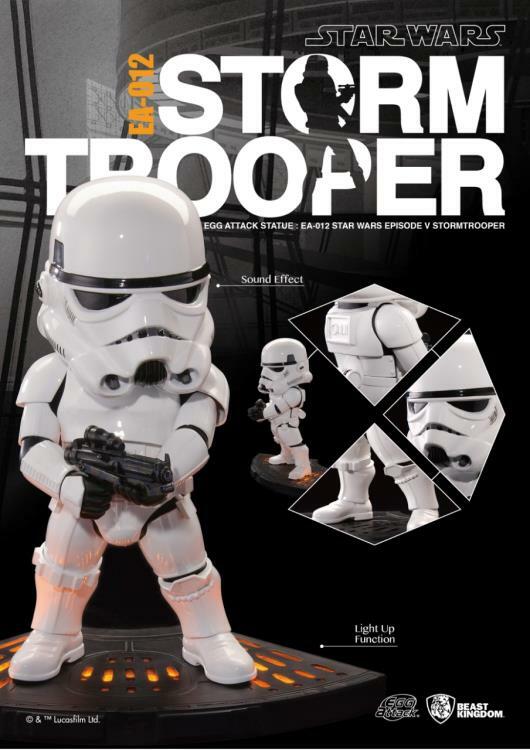 Each Stormtrooper statue has built-in classical line sound effects officially licensed by LucasFilm, which 100% matches with the movie setting. 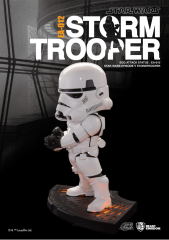 The statue comes with a classic Carbon-Freezing Chamber light up figure stand, for collectors to customize their display.